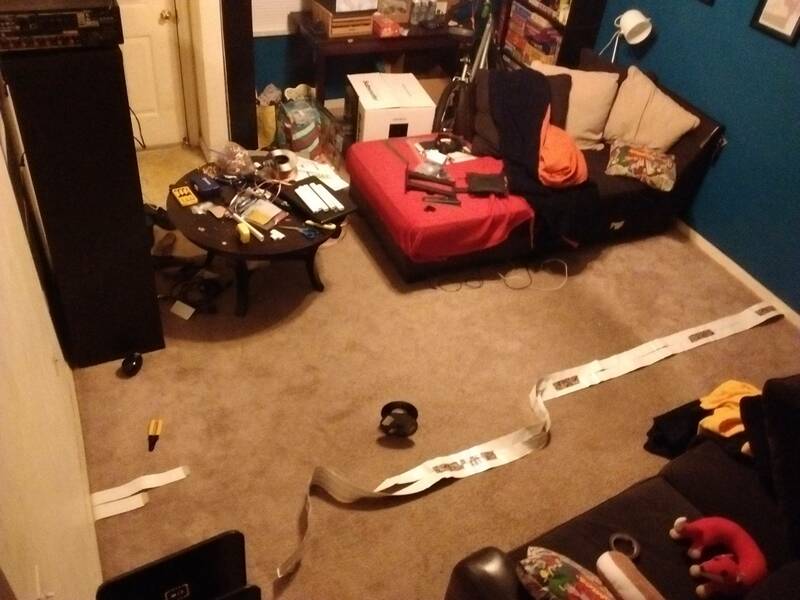 Welcome to the annual NeoGAF Show us your Gaming Setup thread. An early one was posted which was a bit too full of misc posts then setups in the beginning so I thought a fresh thread would be appropriate with the 2015 awards in the OP. Sorry for anyone that needs to post again. 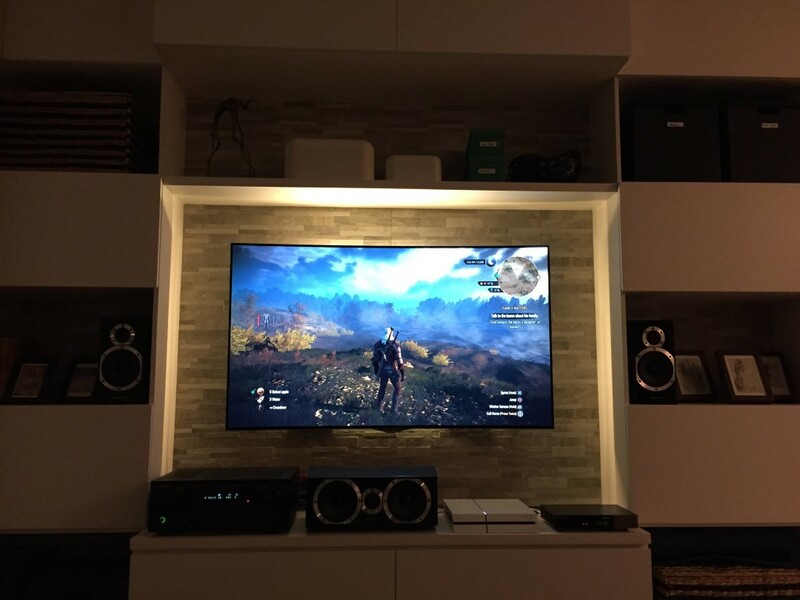 Here we post pictures of your gaming setup, from the large collections to the small collections, from the big family rooms to the small room setups, doesn't matter what, show us what you got! 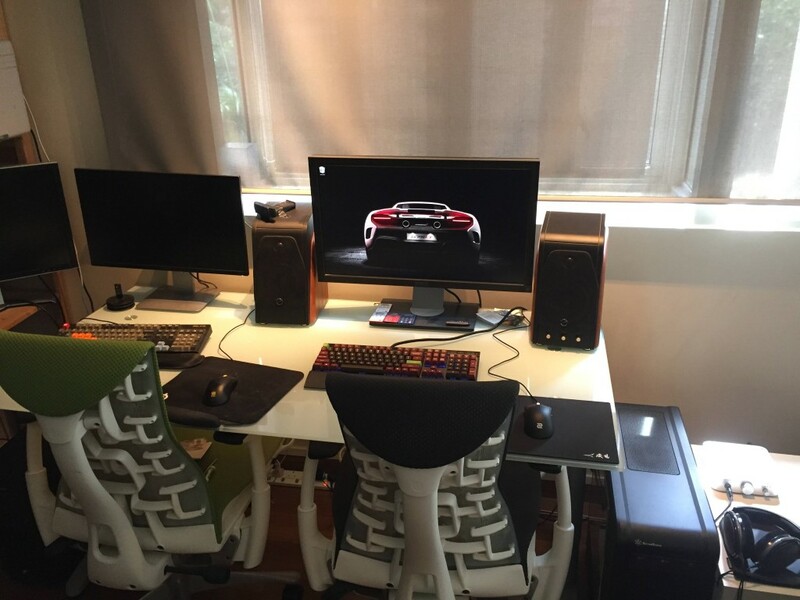 After you've posted what you got, make sure to give feedback to other's setup so we can collectively get cooler and better setups. Having scoured the 2015 thread, these are the setups that either got posted about the most or were nominated as best setups. 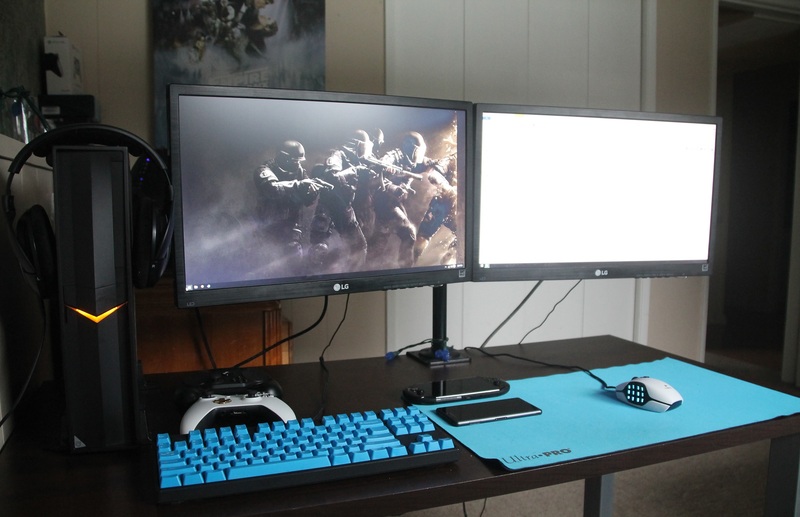 Remember to post a clean setup post as you may be nominated for the 2016 Best Setup! 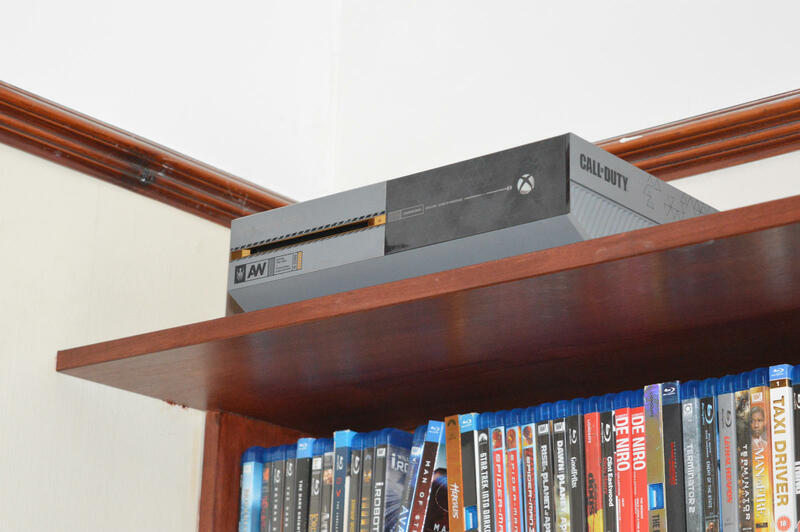 I'm hoping to find a nice stand/console that can be used to hold my gaming consoles and other stuff. Currently looking at room and board. 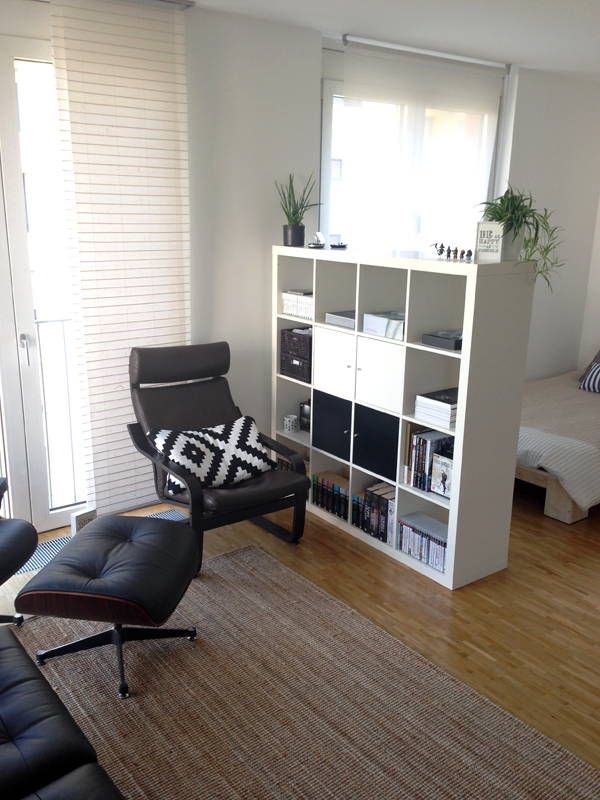 Is Ikea still known for having low quality or did they improve over the years? 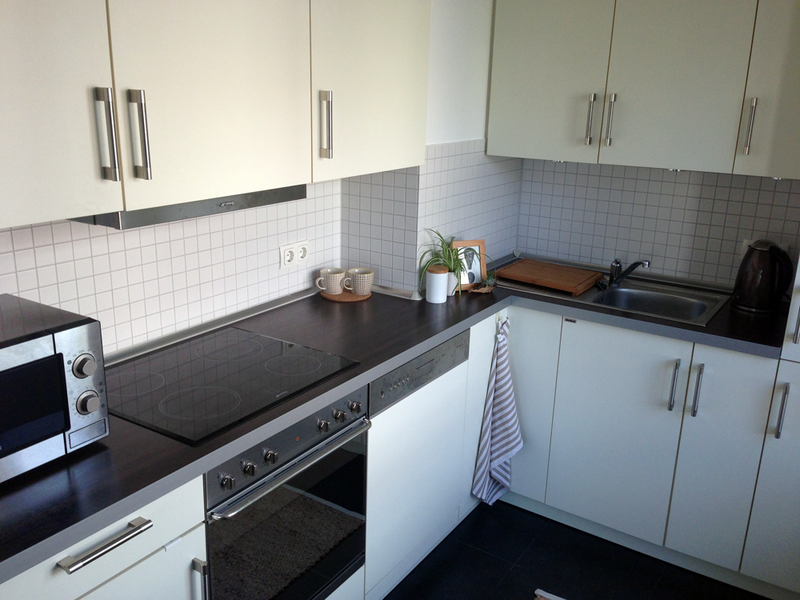 Time for the yearly "I detest my living conditions thread". I feel like such a bum now lol. Bookmarked. Will post mine when it's done soon. Why is there two of these threads and what makes one better than the other? Let's not derail this thread and let's see all your awesome setups! Looked at your apartment. Looked at your avatar. Tabris: what do you use a bluetooth keyboard with for your PS3/4? Time for my annual room cleaning. Yay, my favourite thread is up. 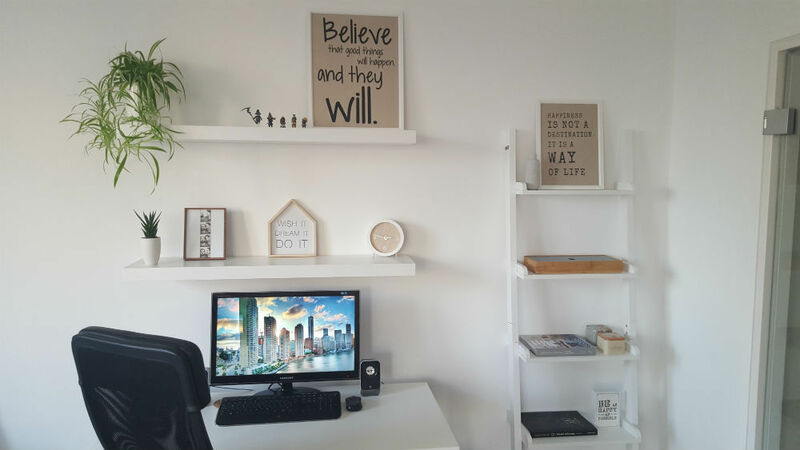 Reposting my setup with a few new images of my desk area which I added to recently. Click to expand. 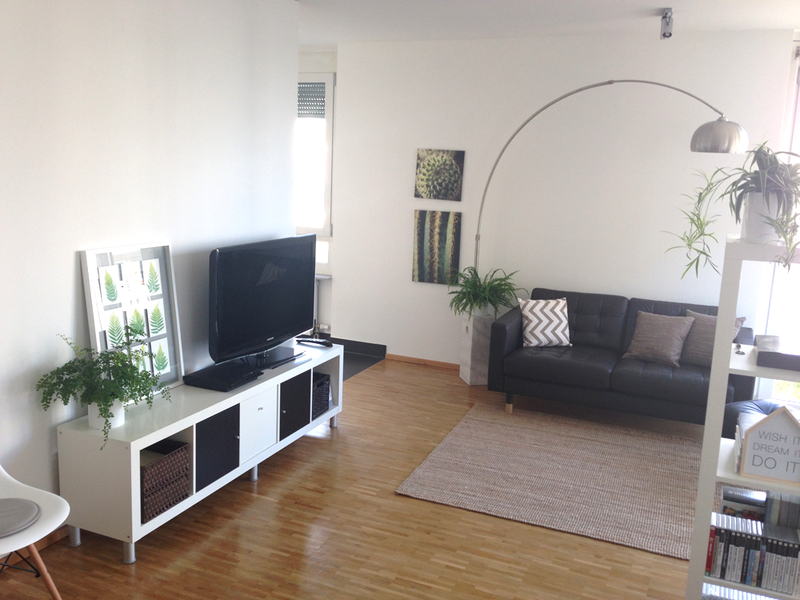 Living room area. 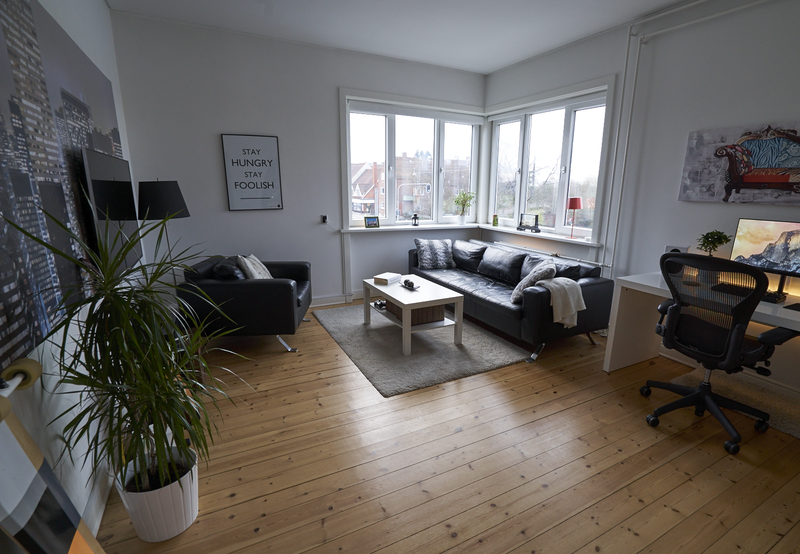 It's quite tricky to take good photos with all the natural light my apartment gets, but I love the huge windows and the awesome view. 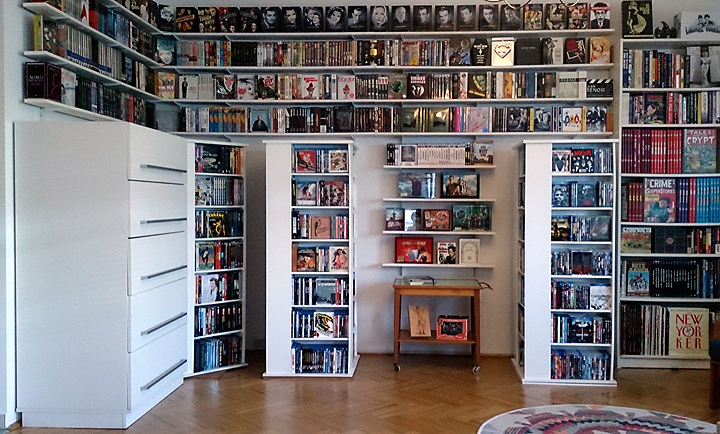 The big shelf holds most of my games and books and also acts as a divider in the room. 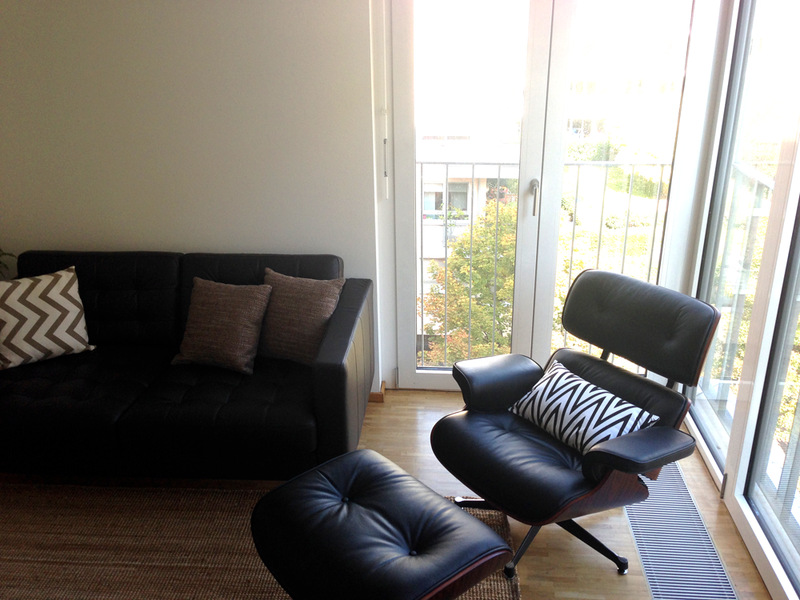 This is my favourite corner for reading, relaxing and watching tv. 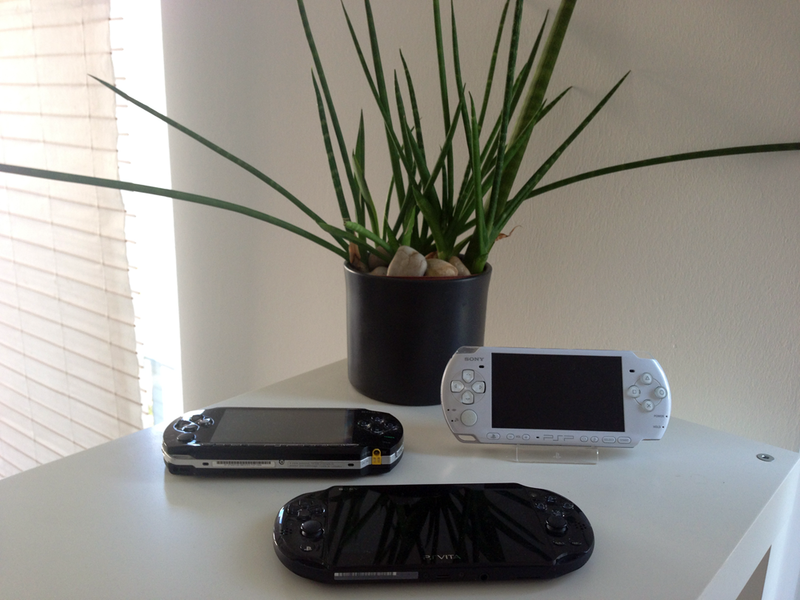 My PSPs and Vita have their own special spot, as do my FFXI Tarus. 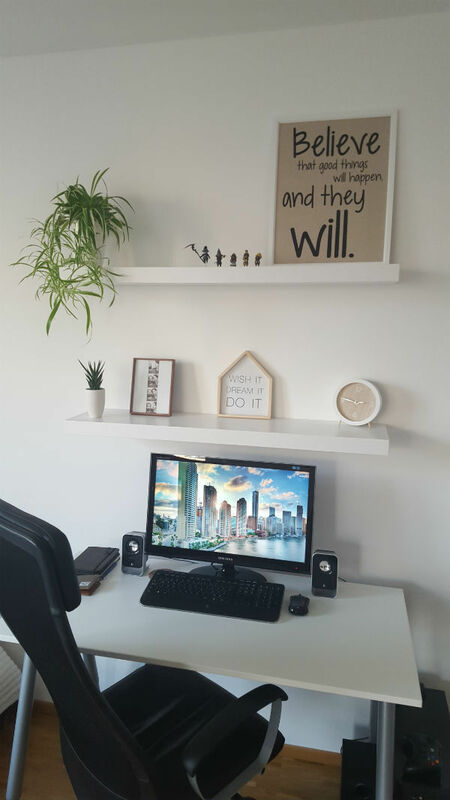 Desk area where I game and occasionally work from home. 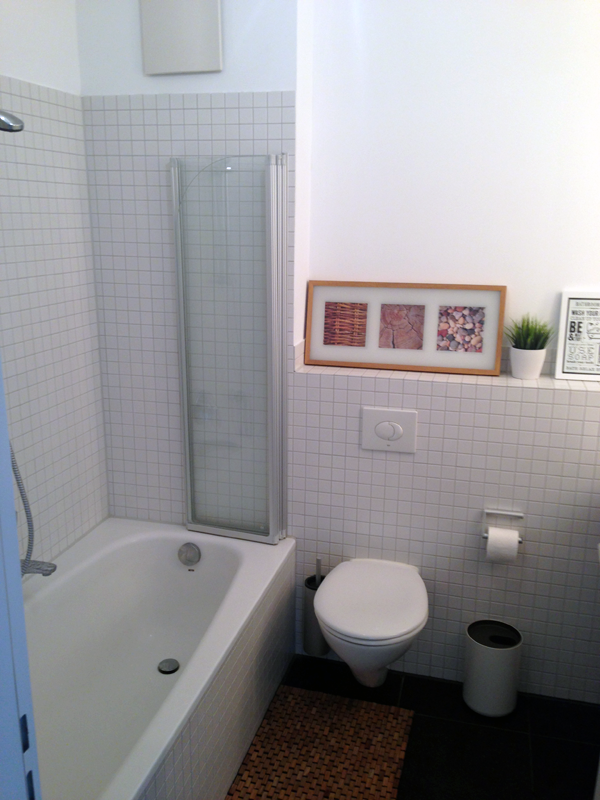 And since I showed most of the flat why not show the bathroom as well. Not very large but it was fun making the most out of it. 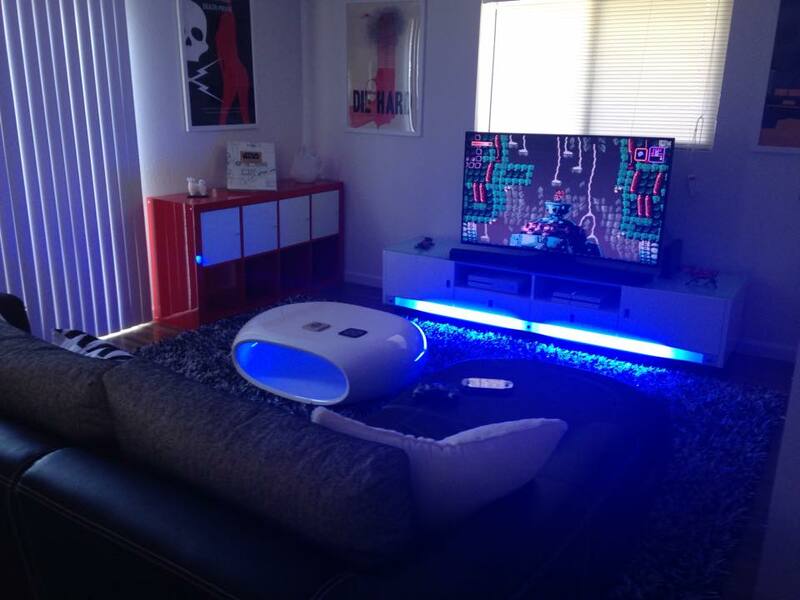 Tabris, you have such a bachelor pad. Mad jelly. Not sure how much rent would be as I own. Thanks Tabris. 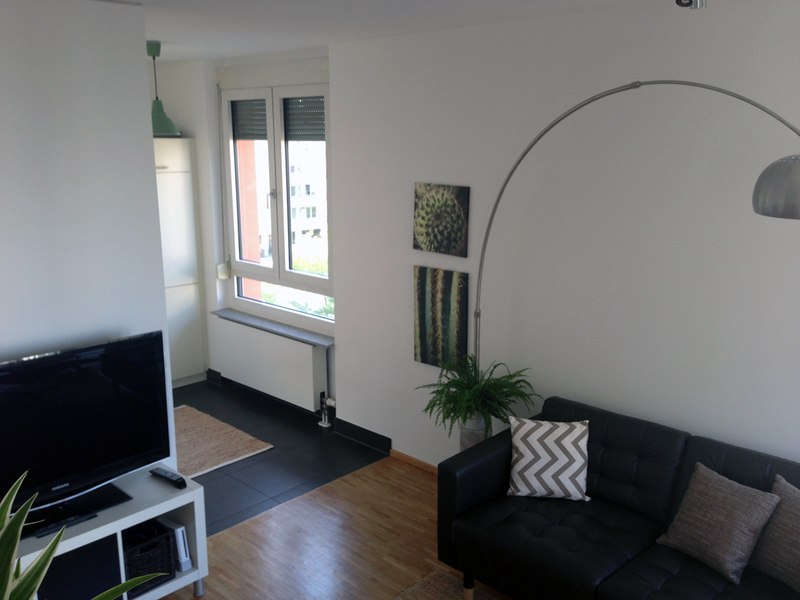 When i was apartment hunting the options were to either live outside the city in a bigger apartment but have an hourly commute and pay tons of cash for petrol or public transit or live directly in downtown Frankfurt but in a smaller apartment. Was a pretty easy decision. 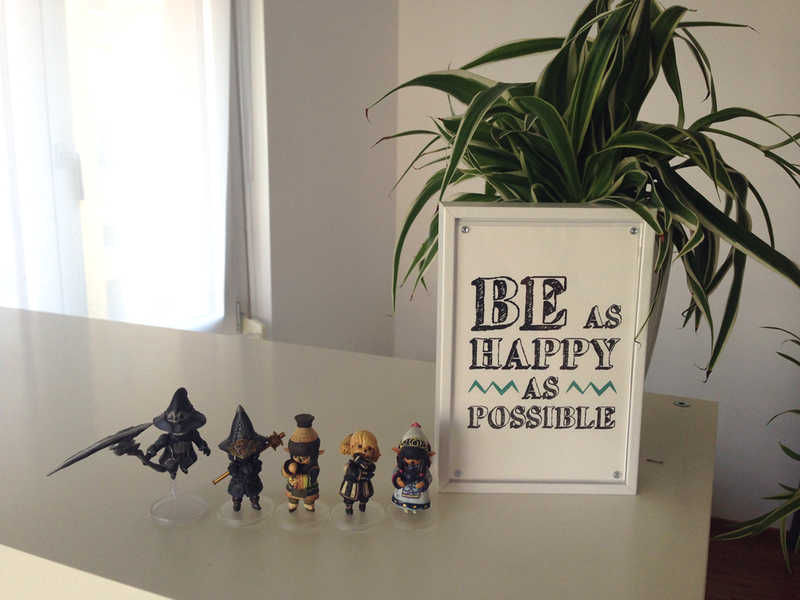 You keep only the necessities, it is easy to keep clean and it was tons of fun to decorate. Not to mention that I live directly in the middle of the city now, work is only 3km away and I can practically walk or take the tram/subway anywhere. 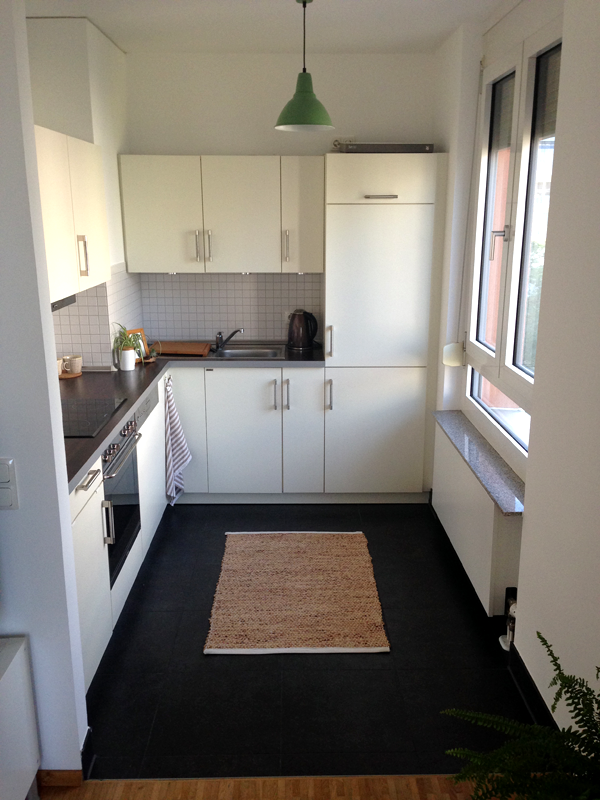 Not to mention I really lucked out and got into a building that was only just built in 2004, so insulation is awesome, heating costs are low and everything is modern. Sorry for the crooked picture. Anyways, here's mine. 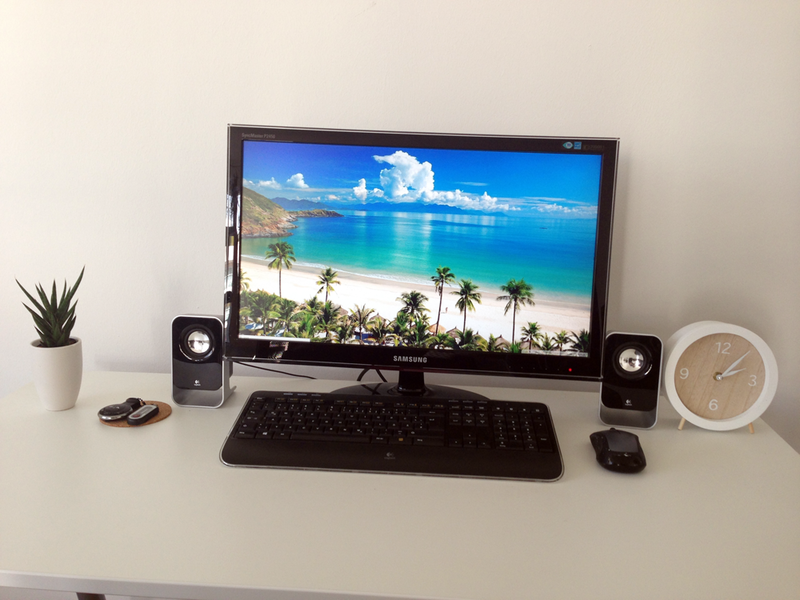 Tabris: do you do some PC gaming on your iMac? Here's me. I'm pretty happy with my setup overall. I was not prepared for this so soon. I still need to do my deep cleaning. Will get on it. 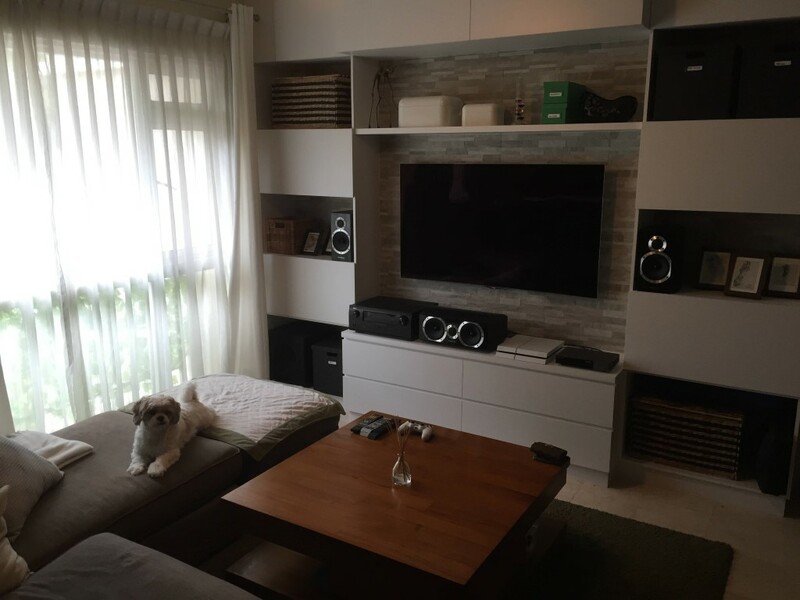 [...] 55" Sony KDL55W800b HDTV, Denon S700W receiver, Monoprice 10565 Premium 5.1 Surround Sound system, PS4, Nintendo Wii U, and Ikea Lappland and Kallax shelves. The shelves aren't organized in this picture, and a bunch a tools are just lying around everywhere, but it's presentable now. Forgive my budget phone pics. 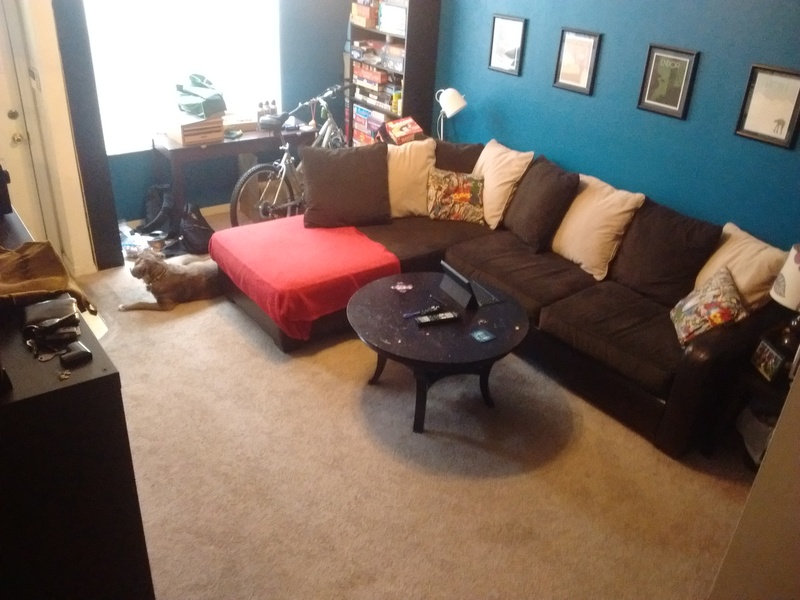 Things are coming together in the living room, but it was a wreck for two days while I reinforced the shelves to mount the TV, added cable management to the back of the entertainment center, and ran ghost speaker wire under the carpet. Couple of dead links in the OP. @Tabris: Where do you live? Looks like East Asia (IMO). He lives in Vancouver. Amazing view from that apartment. I really want to own one like that one day. Just games like Civilization and Cities Skyline. 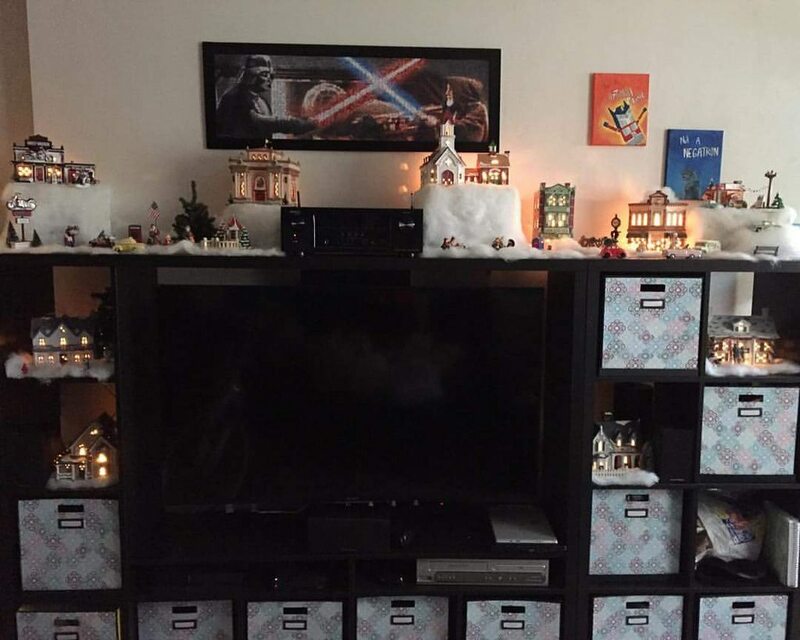 Same setup as last year, I want to upgrade to a full surround sound system this year as opposed to my soundbar. 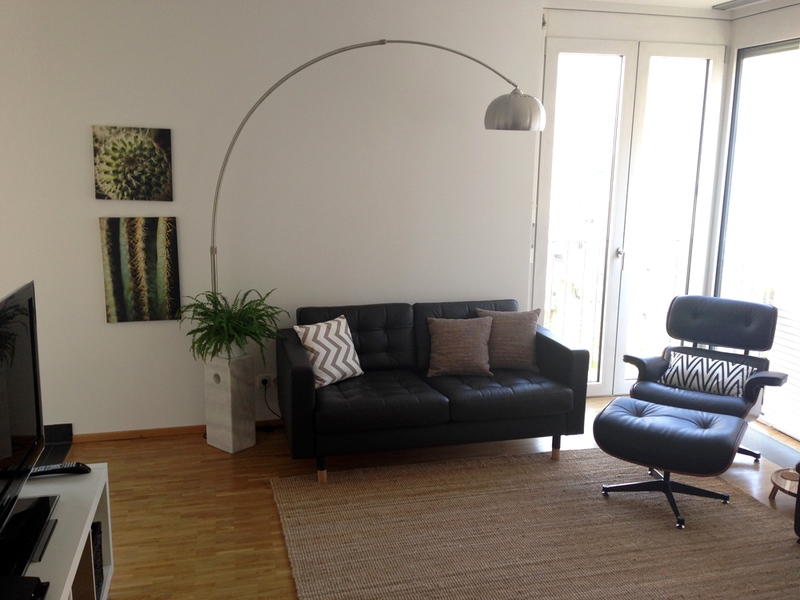 It all depends, some IKEA items are lower quality while some others are actually good quality. 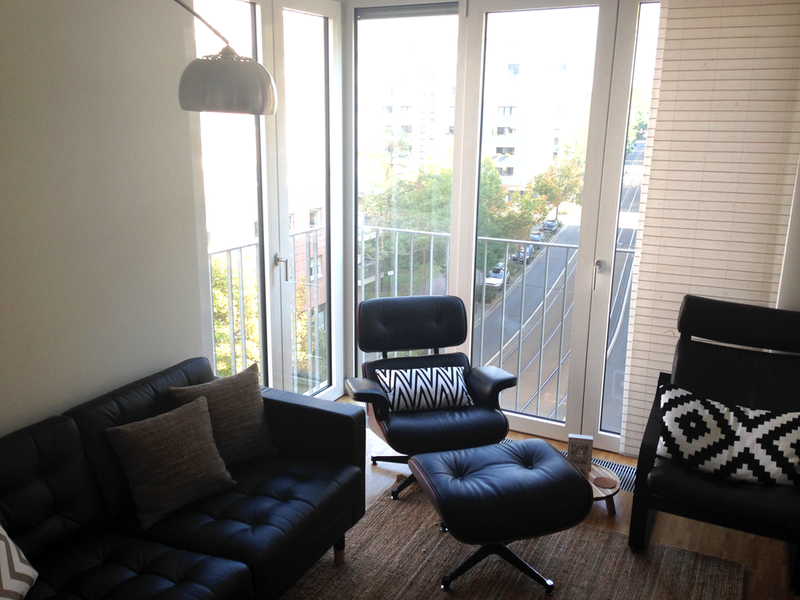 Nowadays IKEA items also range from cheap to mildly expensive, so you usually get what you pay for. Your best bet would be to just go there and see the items in person. 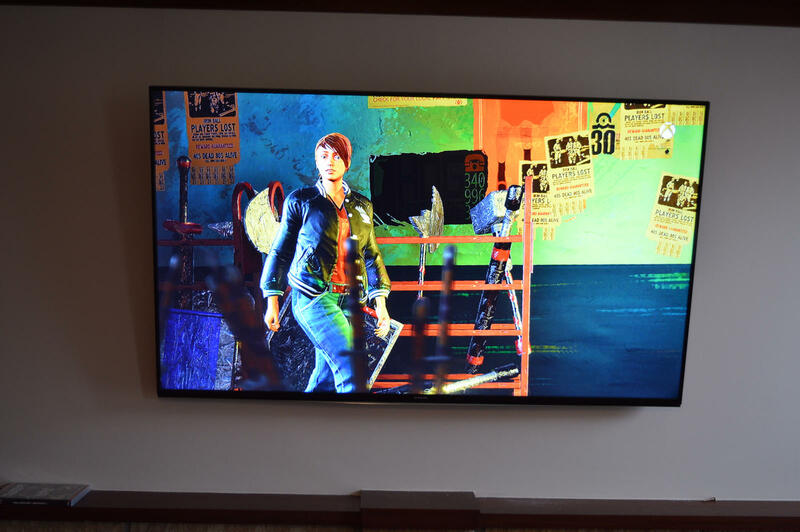 Your tv looks gorgeous, makes me want a new tv. Edit: Sorry for the double post, thought I was editing a post. If you shop around a bit, the price on my TV has been lowered recently because Samsung are pushing a newer model, you could grab a bargain. 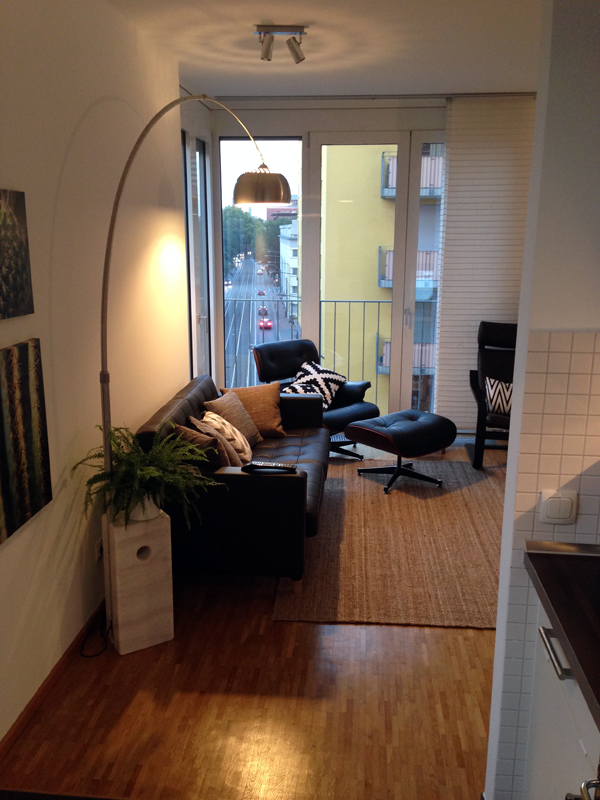 Why is it that all of the best setups are in tiny apartments? Looking forward to posting my setup. 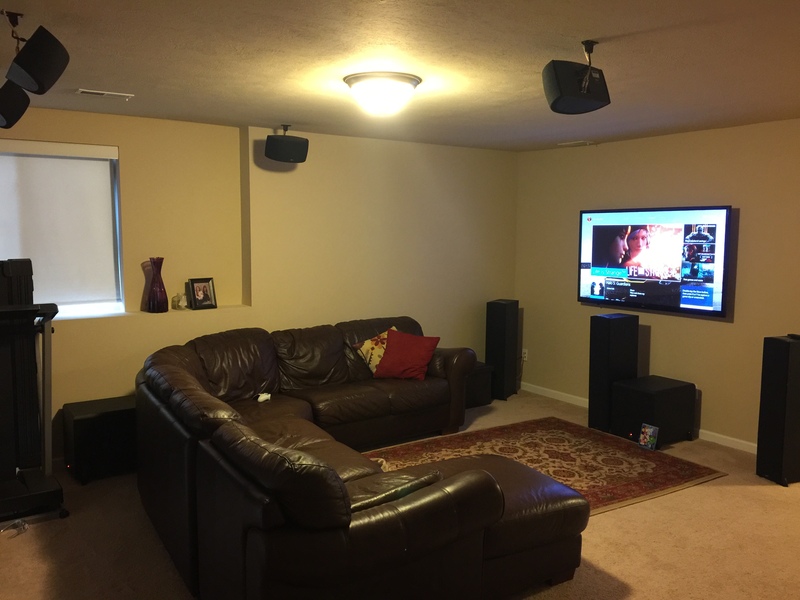 I have been working on a home theater/gaming room since September. Update: Ok, decided I'm not going to completely finish my setup by the end of the year so I might as well post where I'm at. I've been working on my basement since September 2015 with a close friend that works in the construction industry (who knows what he's doing as I sure didn't). We did all the work ourselves except for the carpet. 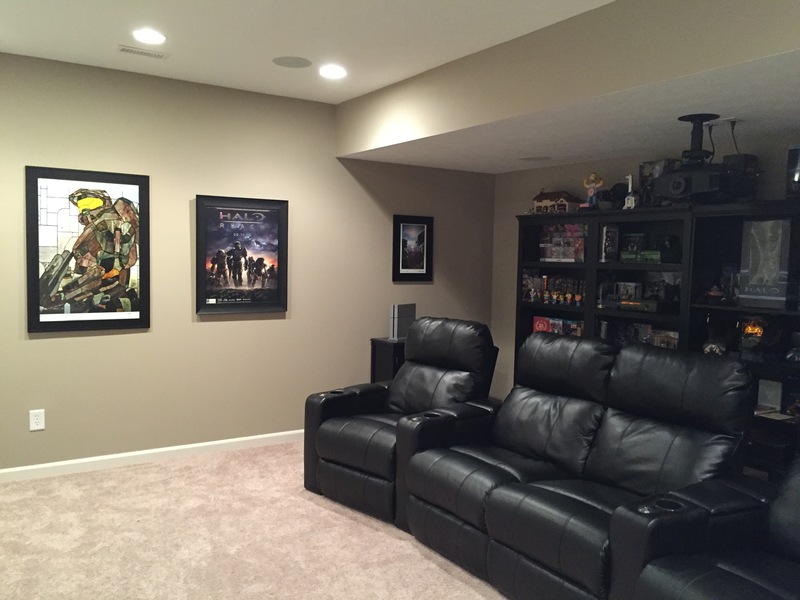 The goal was to finish a portion of my basement and put in a Home Theater/Game room as well as an office. 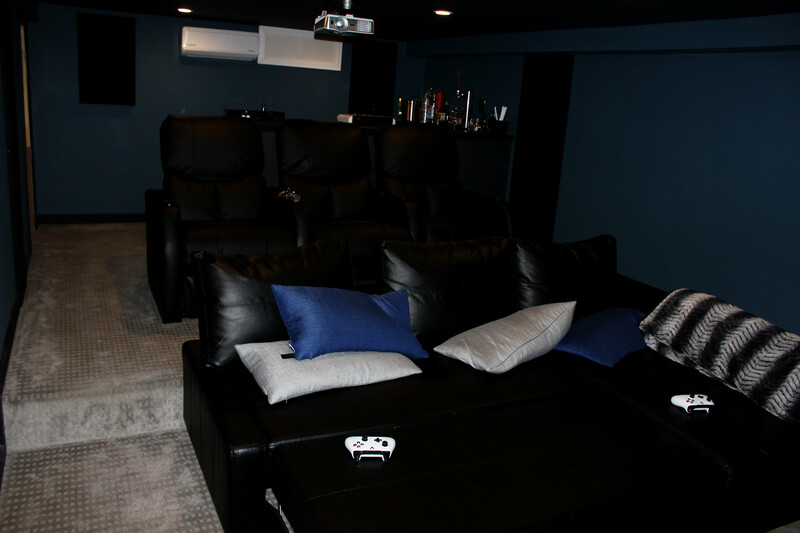 The Home Theater/Game room is 98% done and the office is going to be on hold. 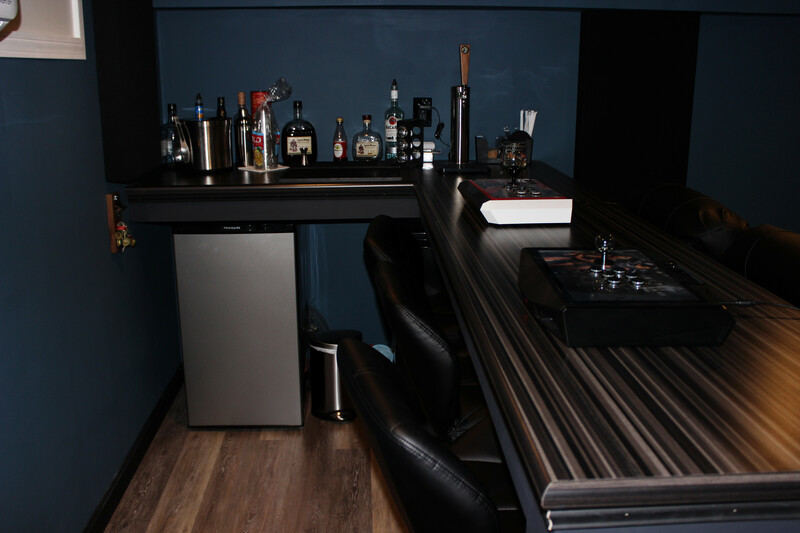 The room has two rows of seating and a bar with stools. It fits about 10 people comfortably, but more seats can be added. The bar has a kegerator and a another mini fridge for adults. 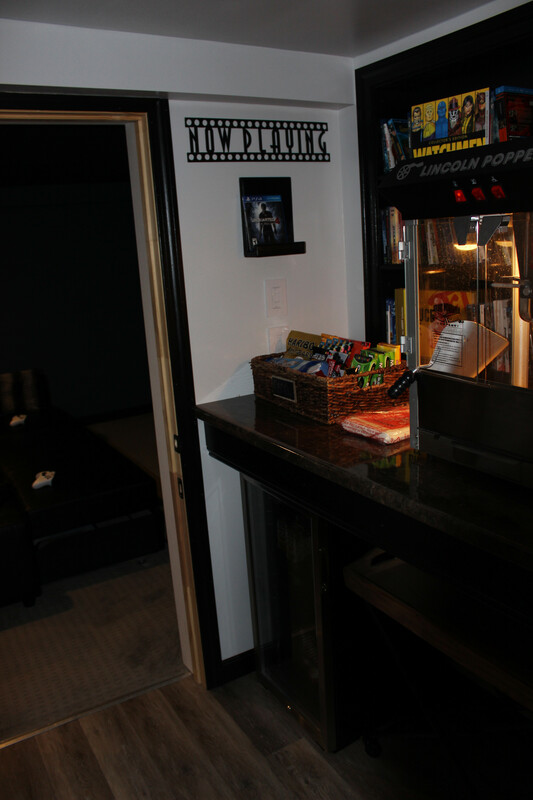 On the side front of the bar behind the HT seating are some USB ports that run into the AV closet so that I can hookup my fightsticks. 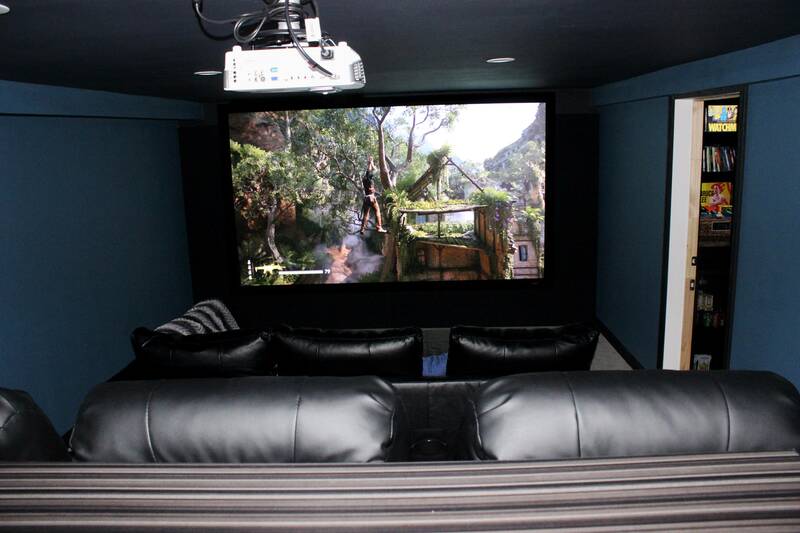 The screen is 120" and the wall is a fake wall with speakers behind it. Dual subs are behind the speaker cloth panels. 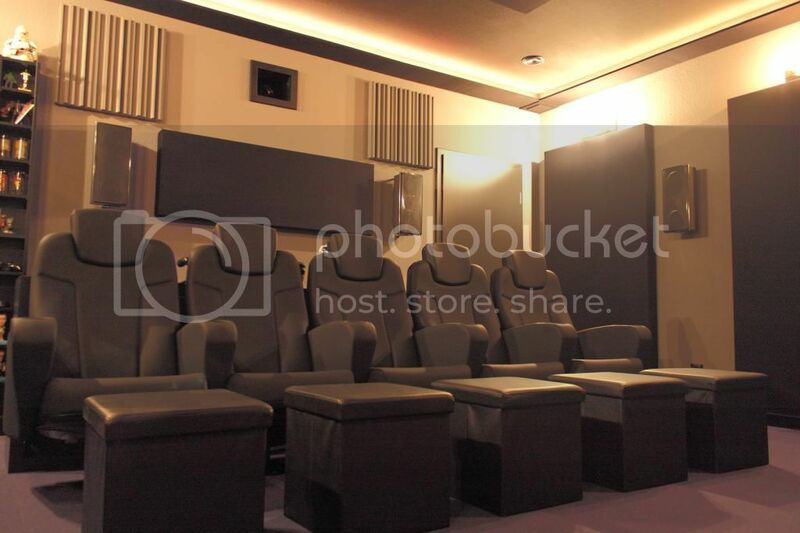 The sound system is 7.2.2 Dolby Atmos. Projector is a BenQ W1070. Still have some work to do. Need to paint and attach the HT door. 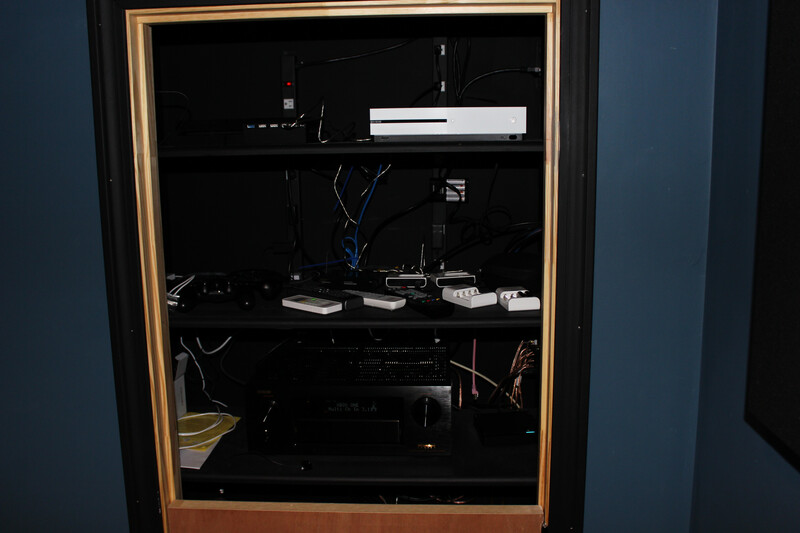 The AV Closet still needs some paint and the wire management is a mess. 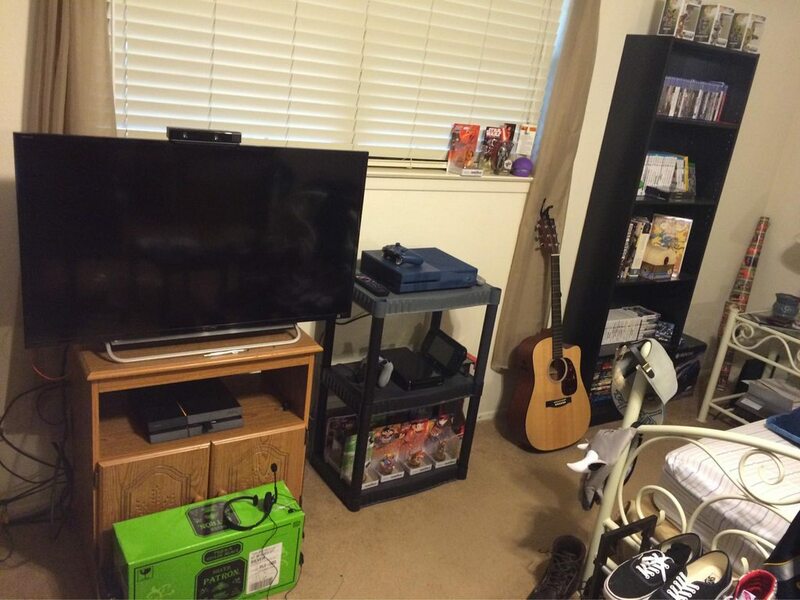 Anyways, that's where I do all of my console gaming and where I host game nights with friends. The best part about it is that as we added some sound proofing, I get to play as loud as I want without bothering the wifey. I'm planning on building an office in the basement at some point. Here's a pic of my current office that's kind of a mess. Easier to shoot for. 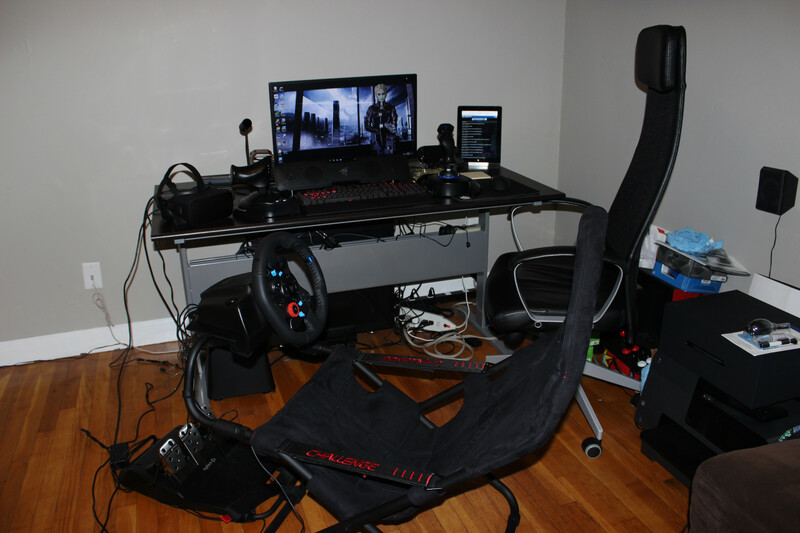 And the need to maximize space focuses your setup. One of my favorite thread! 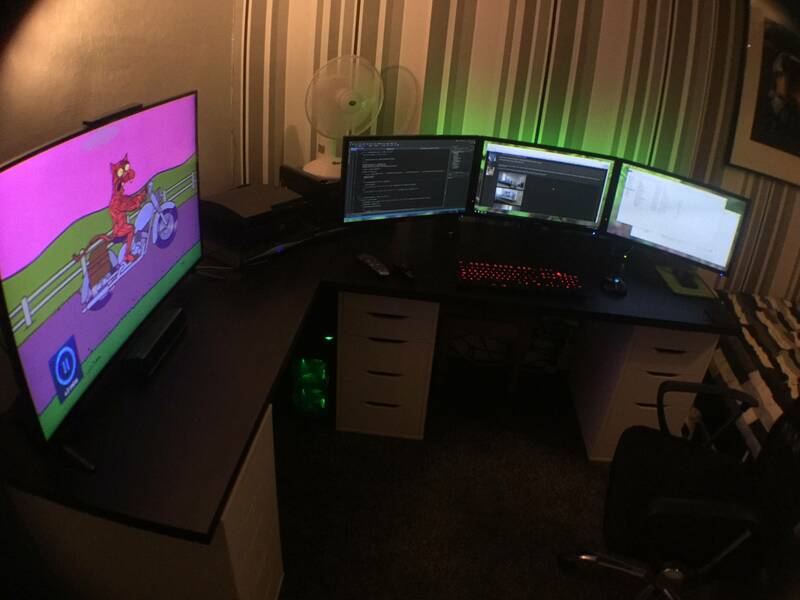 Might update my gaming setup this year. 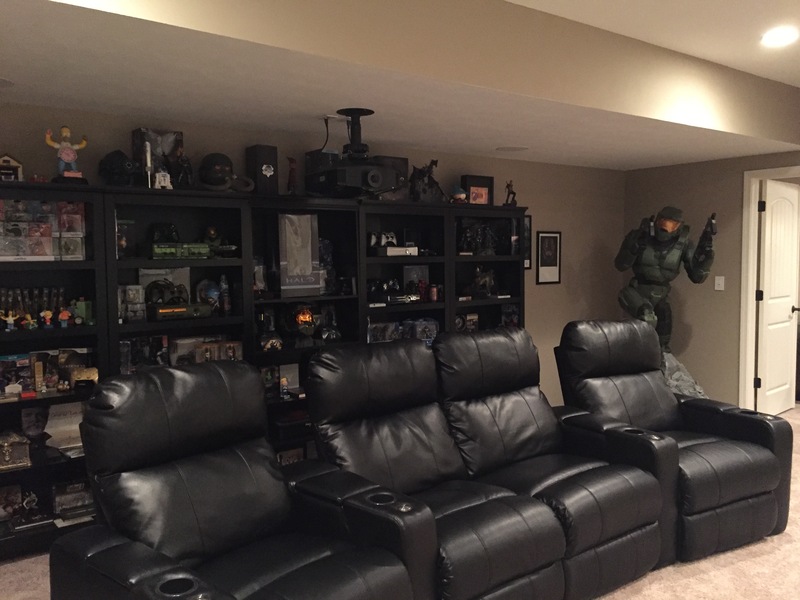 Looking forward to seeing everyone's gaming setup. 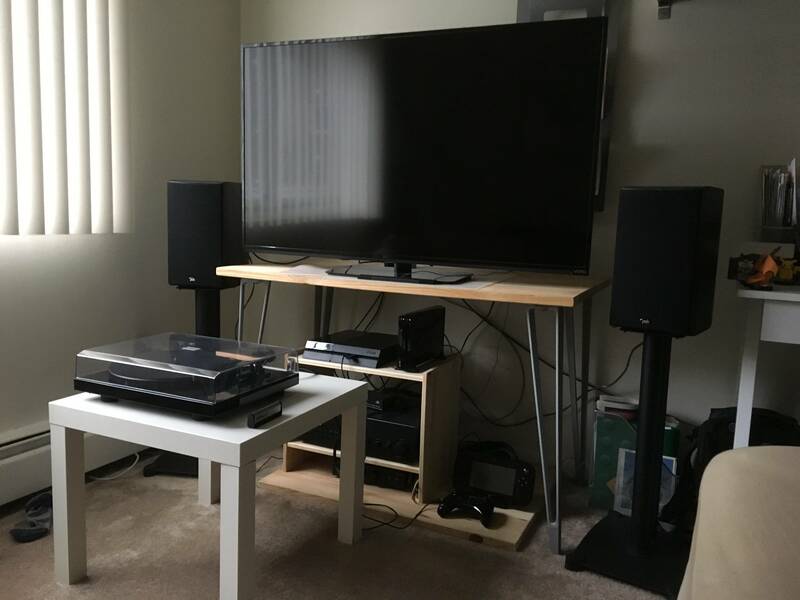 My setup isn't super high end, but I live in a fairly large four bedroom house. Well I'm a lower middle class teacher so... I don't want anyone to know how I live. 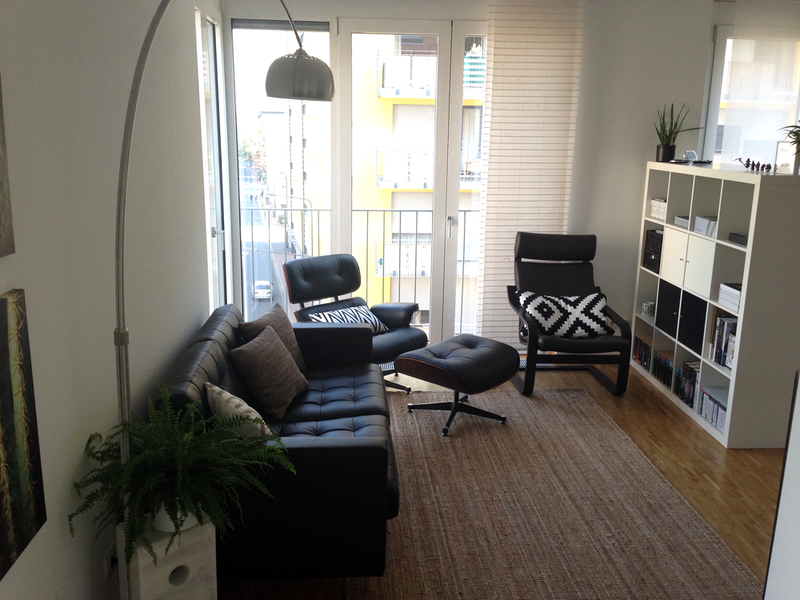 If anyone has any recommendations on furniture for a small space that might help out, I'm all ears. 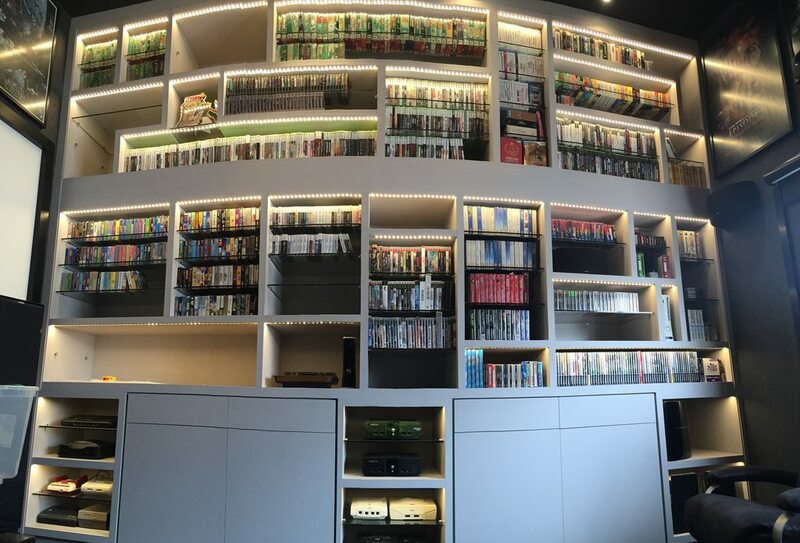 Just had our feature wall built and completed before Christmas... pretty happy with how it turned out. 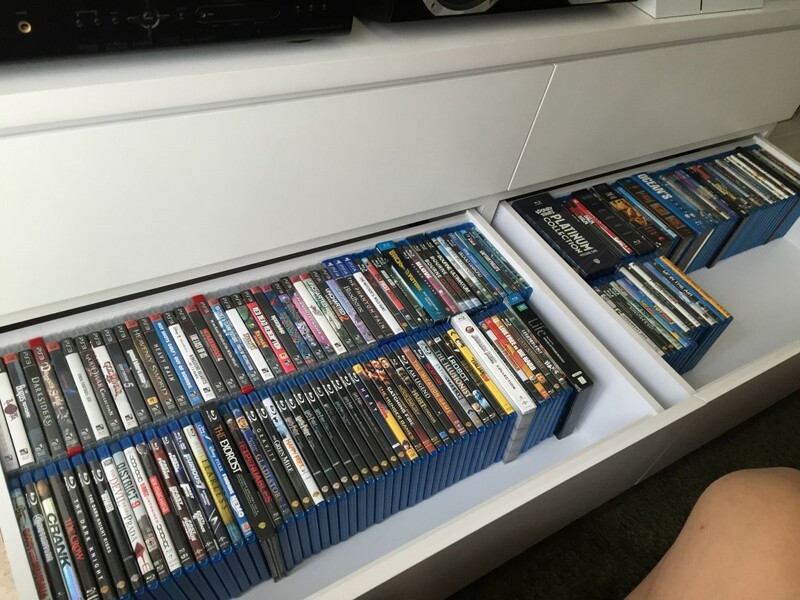 I finally have a place to store all my games and Blu-rays. This is the PC setup... nothing fancy. Mine on the right, wife's on the left. how do you reach changing disks? I am tall enough to reach, I had an old pic, of me putting a disk in, I'll take a new one. Stop trying to steal personal information. 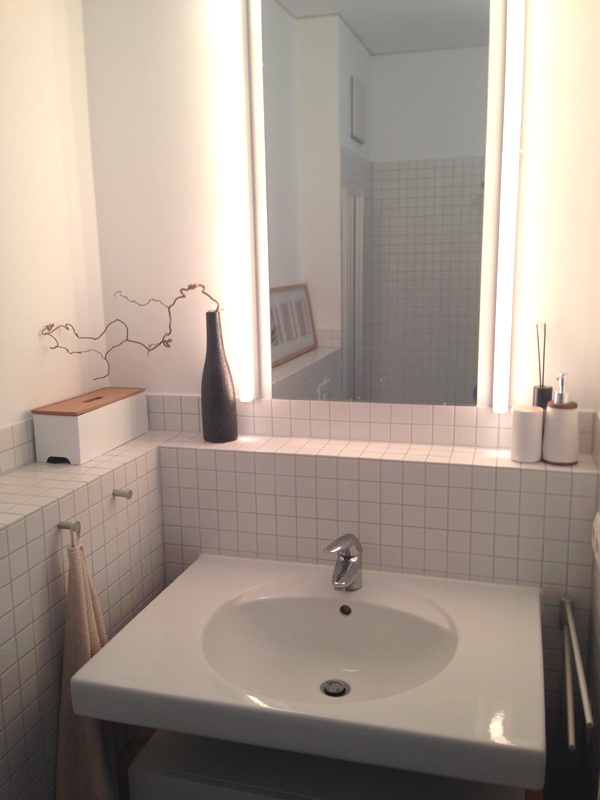 For small spaces you usually want something that offers lots of storage and/or offers some sort of multiple function. 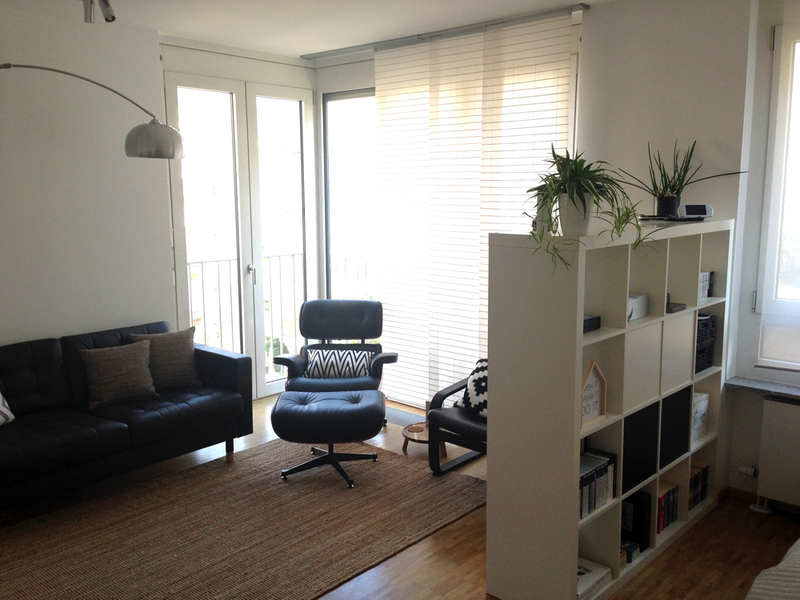 A Kallax from IKEA like you suggested would be a good start. 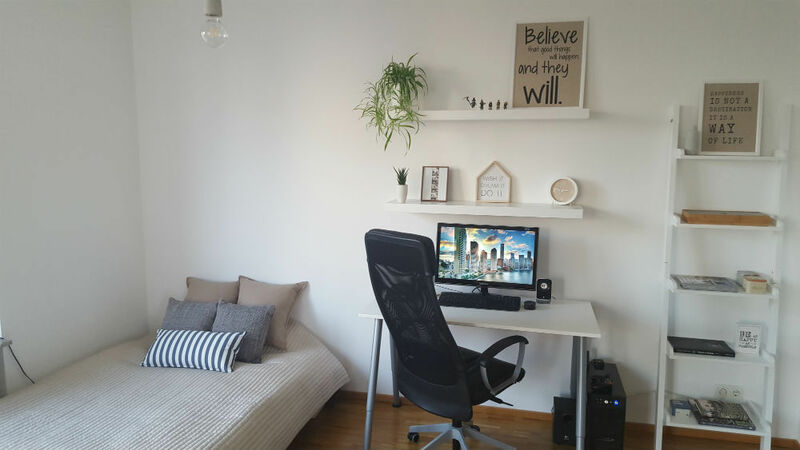 Small rooms feel cluttered very fast, so having furniture with clean lines and storage behind doors/in baskets enables you to store and hide most of your things. 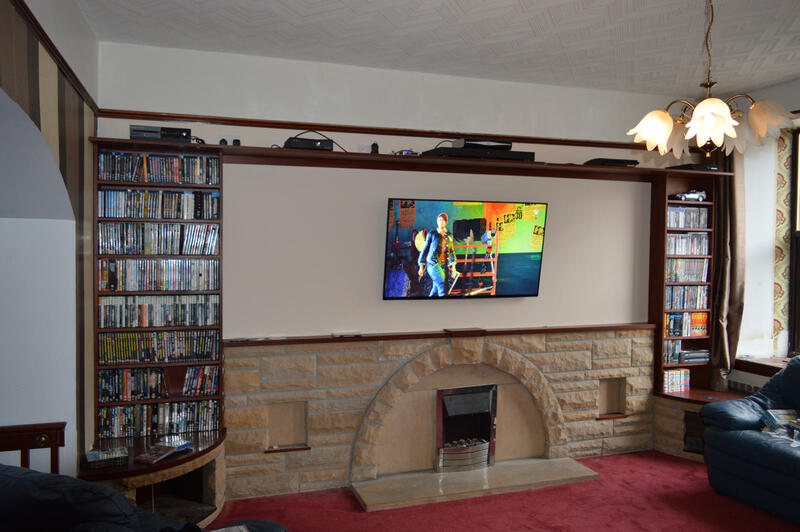 That way you can display the things you like the most and all the rest of your stuff is safely stored and still be easily accessed. For a clean look in general, use cable ties or really any sort of cable solution to clean up your cables and then use uniform boxes, baskets or available storage to store clutter that may be collecting dust and just lying around. 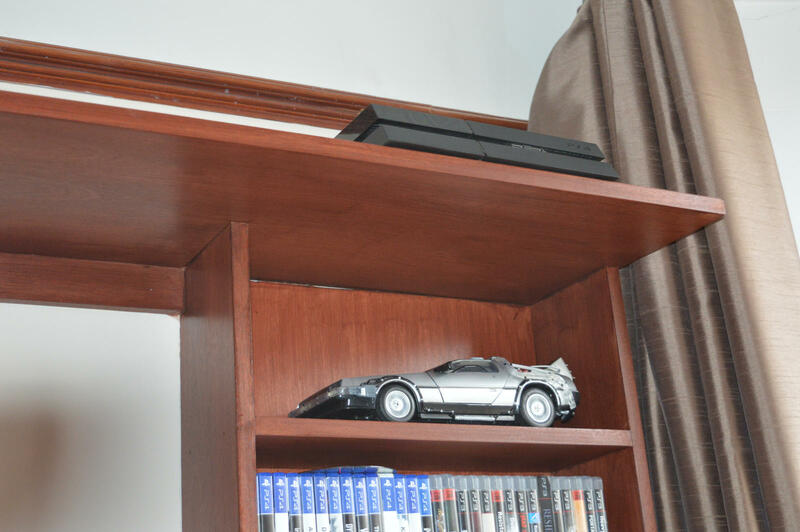 Floating shelves that are attached directly to a wall are also a good option. When space is limited, use the space you do have to go vertical. 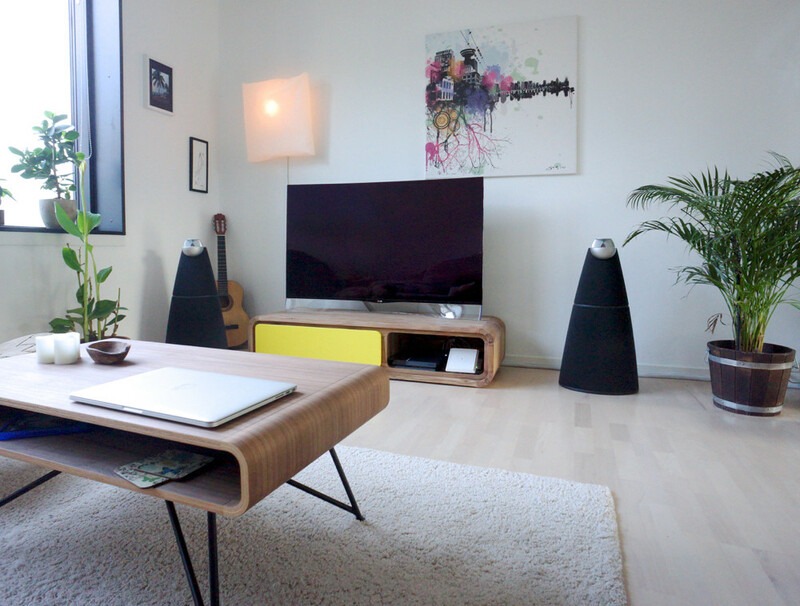 The console with the hairpin-style legs your tv is sitting on actually looks awesome, definitely hold on to that! 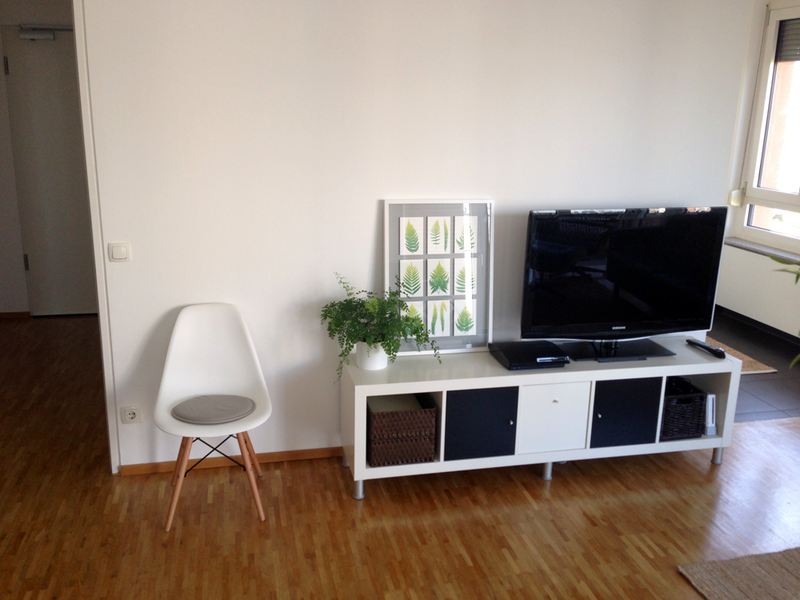 Love it, so clean and the feature wall looks awesome. 60 inch 1080p Plasma with a Klipsch 7.2 surround sound system. One 12" sub woofer in front and back. 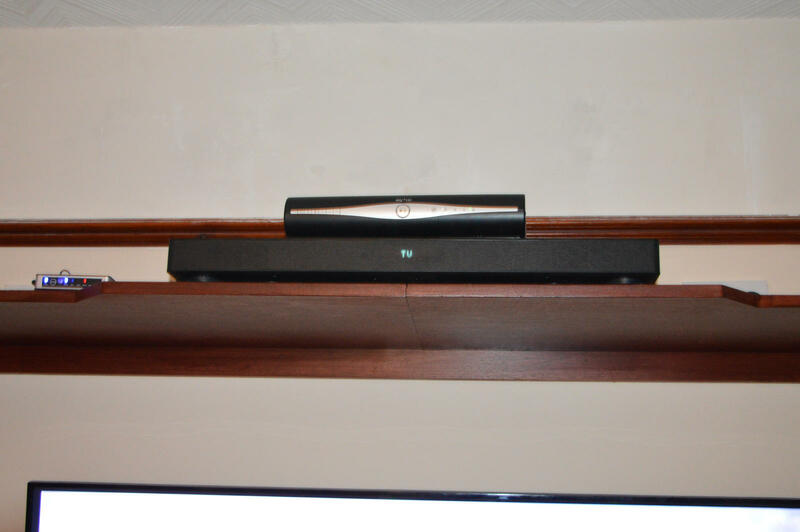 Side and rear speakers mounted to ceiling. I placed a bluray next to the front subwoofer to get a better idea of the size of these bad boys. All consoles and wires are run behind walls. The system shakes my whole house when turned up. 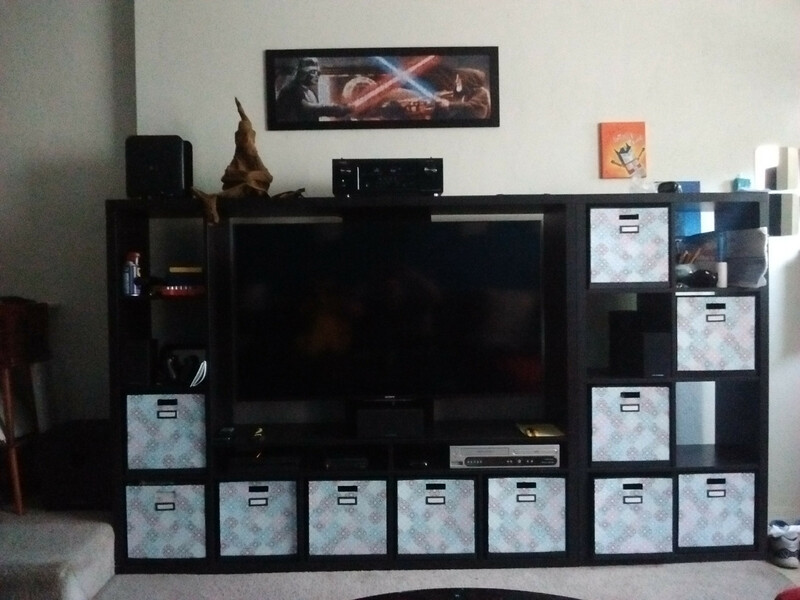 I recently moved and am putting the finishing touches on the setup in my new home. 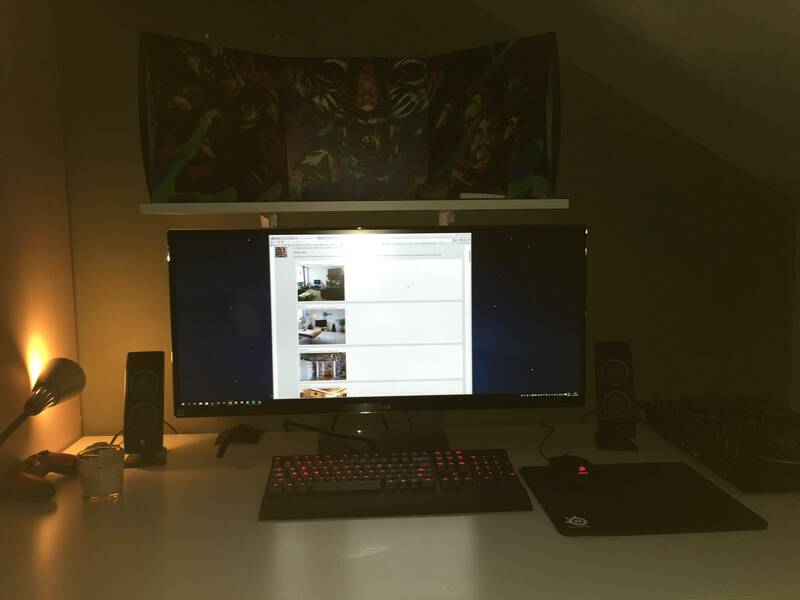 I posted my old setup in the 2015 thread here. My current setup is fairly similar to my old one, with the primary changes being better speakers and more shelving space. I kept the important things intact, Chiefy in one corner and 20th Anniversary PS4 in the other. 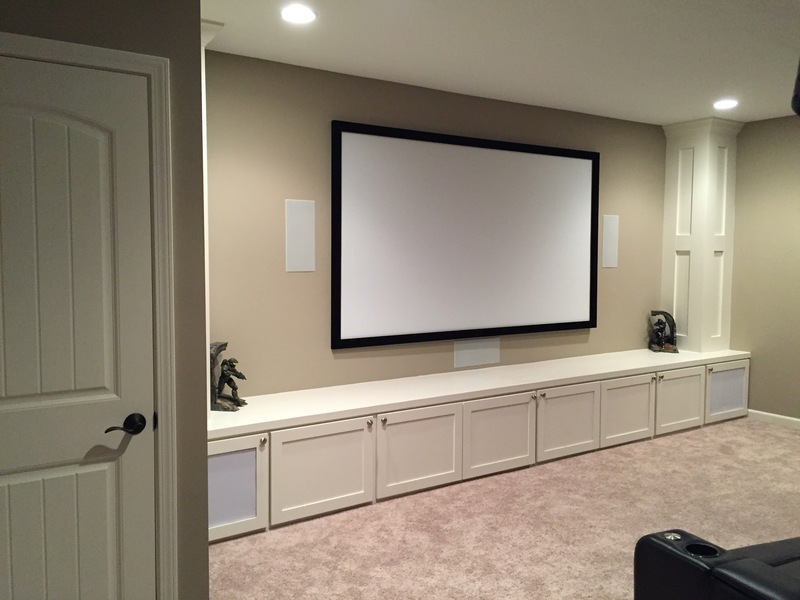 Screen wall, with two Klipsch R12SW 12" 400W Subwoofers in the built-ins. 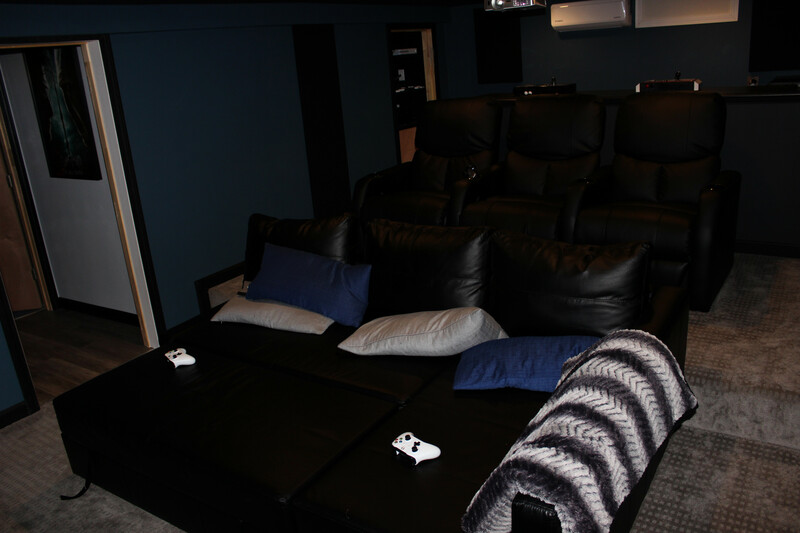 Video game systems and blankets are also housed under the screen. Media closet is next to the screen. 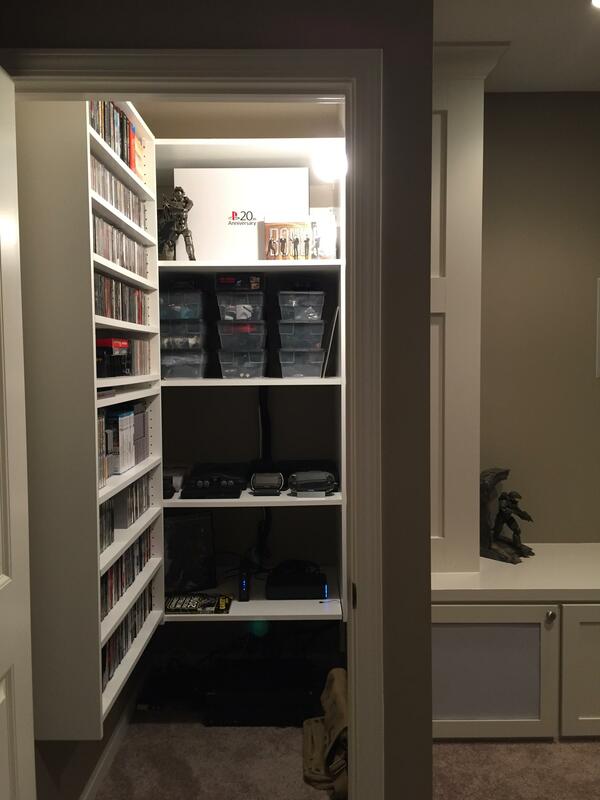 I keep my current gen and retro stuff in this closet. 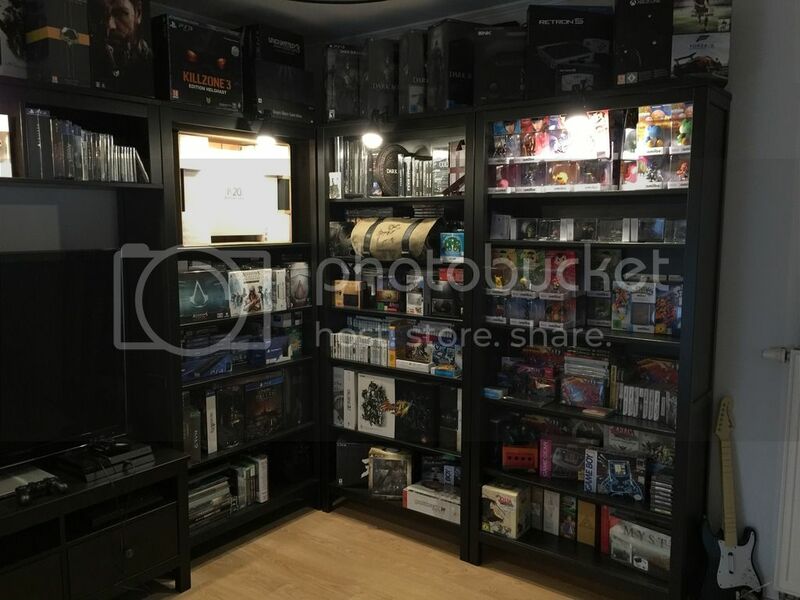 All of my XB/GC/PS2 and X360/Wii/PS3 games are kept in the adjoining room. 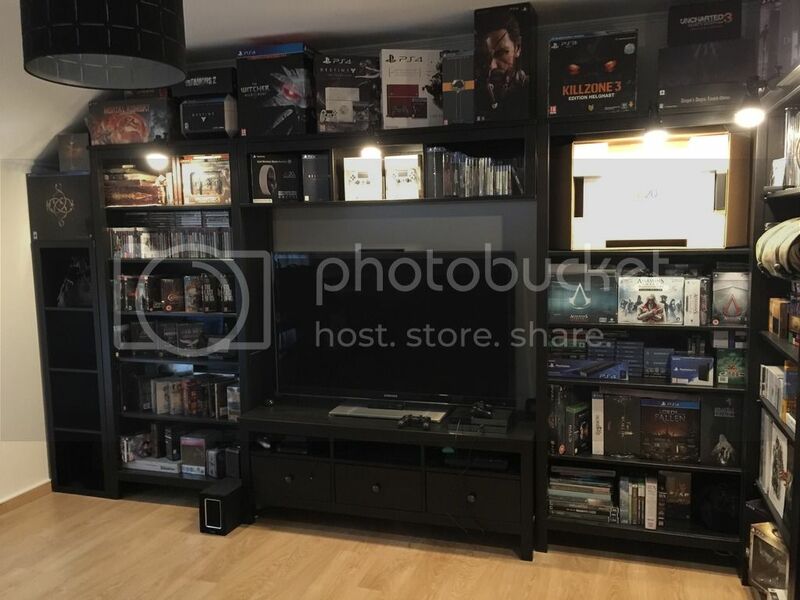 Rear left, with the 20th Anniversary PS4 being the highlight. Rear right, where Chiefy holds down the fort. Pano of the entire room. Rest of the basement, still somewhat of a work in progress. 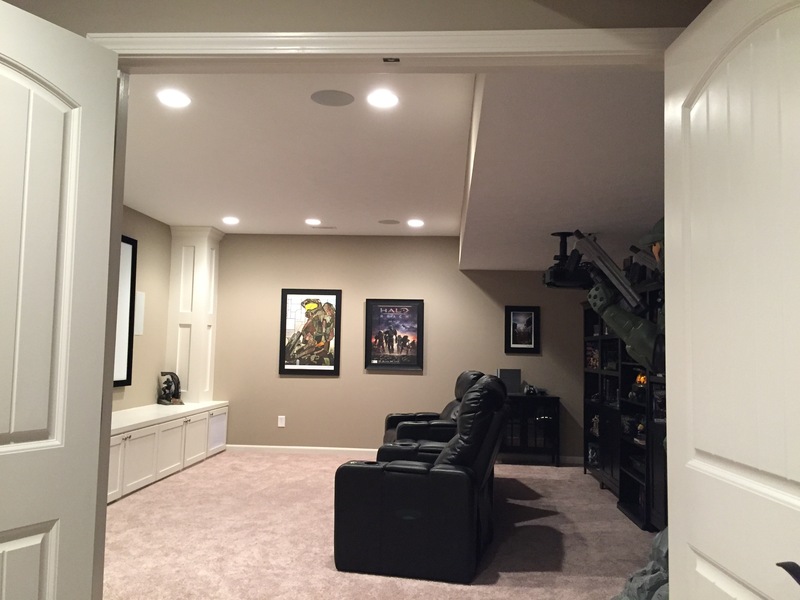 The theater room is behind the closed double doors. 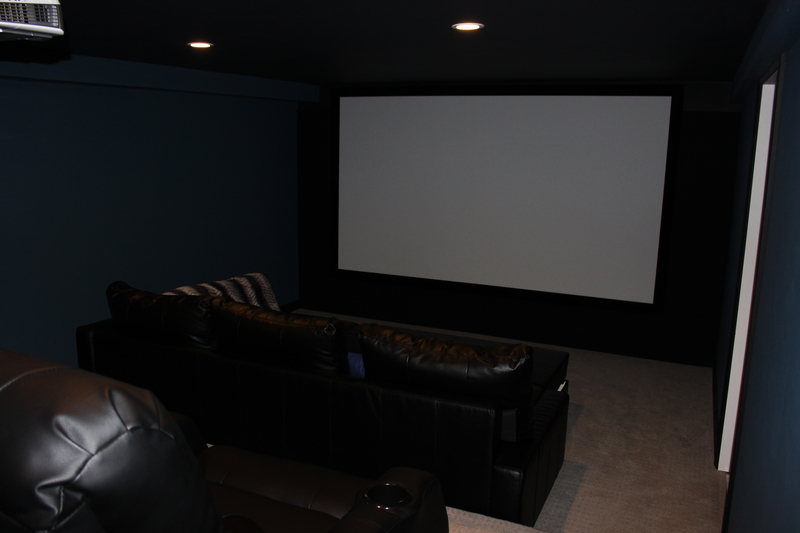 For those curious, the theater room is around 22.5' x 17.5'. 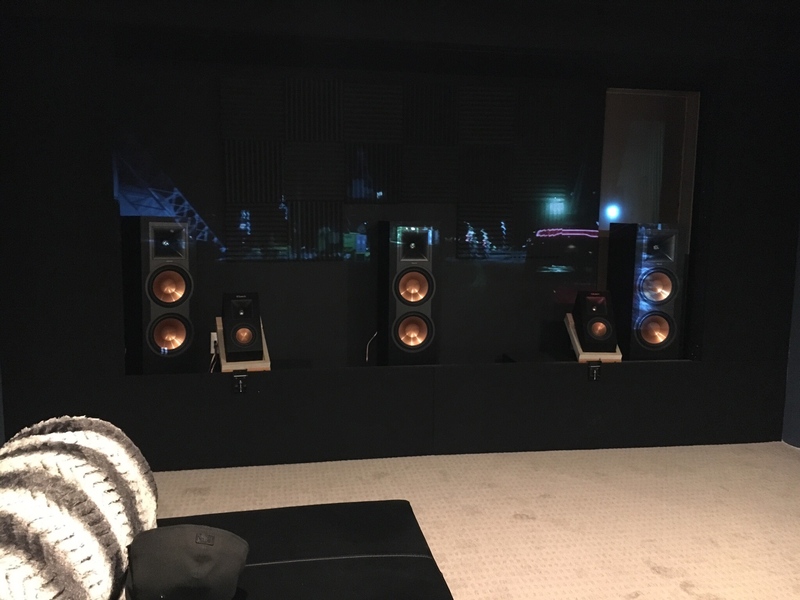 I have a 7.2 Klipsch Reference speaker setup, which is accompanied by a Sony 7.2 Receiver and a Sony VPLHW30AES projector. 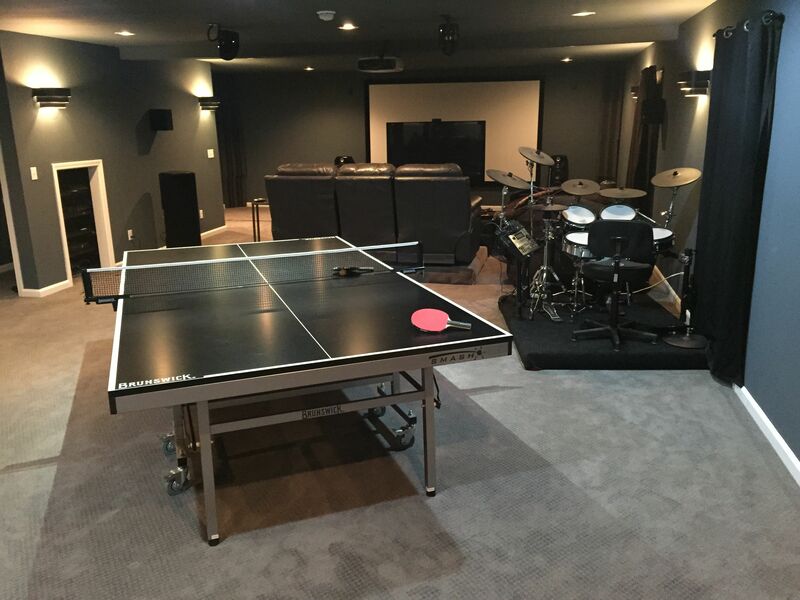 More props for straight party pad status. What kind of projector is that anyways? 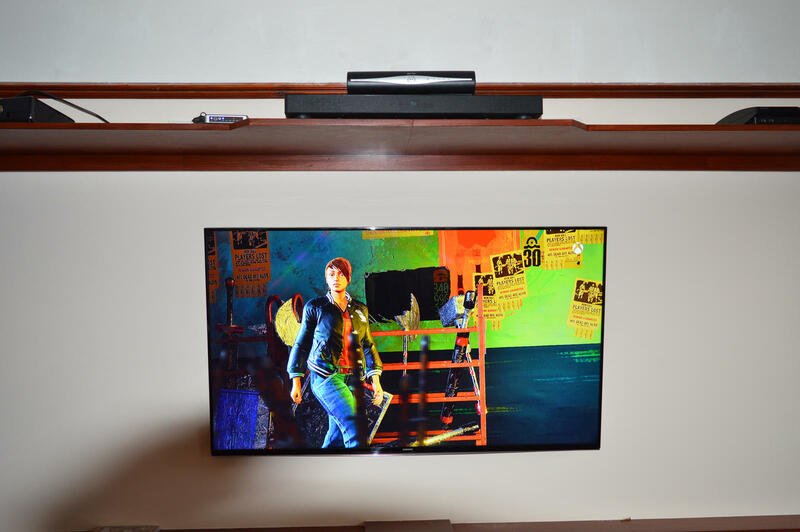 It is a Sony VPLHW30AES projector, great for gaming. I updated the post to include more info about the AV stuff I'm using. Living with my grandpa to save money for my own home so this is my setup for the next while. My 2017 post will be much better!